Dylan is a a member of the Beacon Pointe Client Service team and is responsible for partnering with Beacon Pointe’s investment and financial planning teams to provide the firm’s clients with a personalized service experience. His duties include portfolio maintenance, onboarding of new relationships, database management and client service. Prior to joining Beacon Pointe, Dylan graduated from Dartmouth College with a major in Economics. During his time at Dartmouth, Dylan was a member of Chi Heorot fraternity and served as President and Social Chair throughout his three years as a member. Additionally, he was a member of the alpine ski team, qualifying for NCAA Championships all four years and earning All-American honors in 2015. 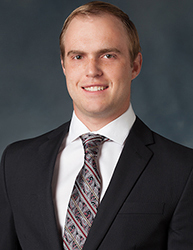 Dylan is originally from Mammoth Lakes, CA and outside of the office enjoys skiing, traveling, watching sports, and is currently learning to surf.